Germans fear extreme weather events and urge to limit their critical impact by implementing environmental city projects (72 percent). 77 percent are particularly worried about the safety of drinking water, for instance in case of leaking oil tanks in the event of flooding. More than half (56 percent) the population in Germany asks municipalities to strongly encourage environmental city projects. 52 percent of Germans are self-critical in view of their own civic engagement. These are the results of the IFAT Environment Index 2018 for the world’s leading trade fair for environmental technology in Munich—a survey carried out by a market research institute among a representative sample of 1,049 Germans. 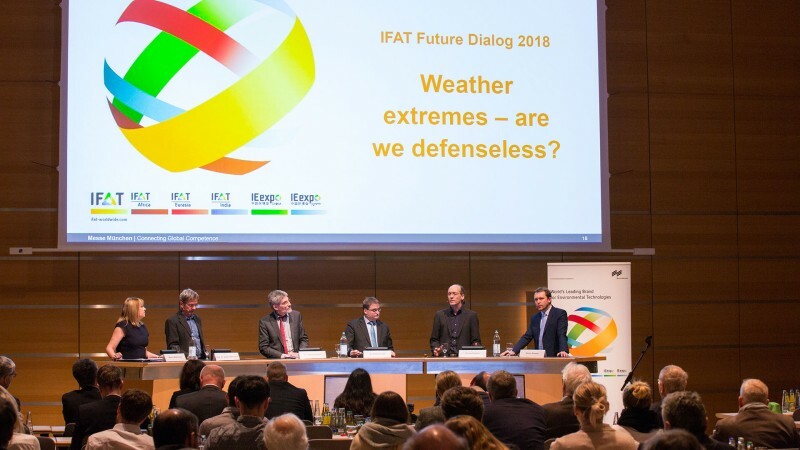 “Global warming leads to an increase in atmospheric humidity,” explained Prof. Dr. Stefan Rahmstorf, climate scientist at the Potsdam Institute for Climate Impact Research at the IFAT Future Dialog. “An analysis of the world’s meteorological data shows that the number of extreme precipitations has significantly increased since 1990—so we can expect a continuous rise in rainfall extremes. This is something we have already observed in Germany in recent years. Dealing with climate change and mitigating the consequences will possibly be expensive—but surely not as expensive as doing nothing,” said Stefan Rahmstorf. The goal of smart city projects is to pursue the objective of achieving environmental protection goals by smart means through cooperation among administrative, economic and scientific structures as well as citizens. “The impact of storms, strong rains and heat waves should be addressed with a local environment strategy—79 percent of Germans are convinced of this,” states Stefan Rummel, Managing Director of Messe München. “For 80 percent of Germans, these environmental projects are a big opportunity to help future technology make a practical breakthrough. With this in mind, platforms such as IFAT will become increasingly important in future.” Global collaboration is also needed: According to the IFAT Environment Index, 81 percent of Germans plead for a worldwide cooperation between research and development so environmental technologies can help stop the negative trends. Are we really defenseless in the face of increasing weather extremes? That was the central question of IFAT Future Dialog.